We’ve been excited to partner with Microsoft, including enabling innovative customers like Beco to build an IoT cloud on Microsoft Azure. Working with the Azure Kubernetes Service (AKS) team and Brendan Burns, distinguished engineer at Microsoft, we’re excited to showcase how Portworx runs on AKS to provide seamless support for any Kubernetes customer. Brendan and Eric Han, our VP of Product, were both parts of the original Kubernetes team at Google and it is exciting to watch Kubernetes mature and extend into the enterprise. 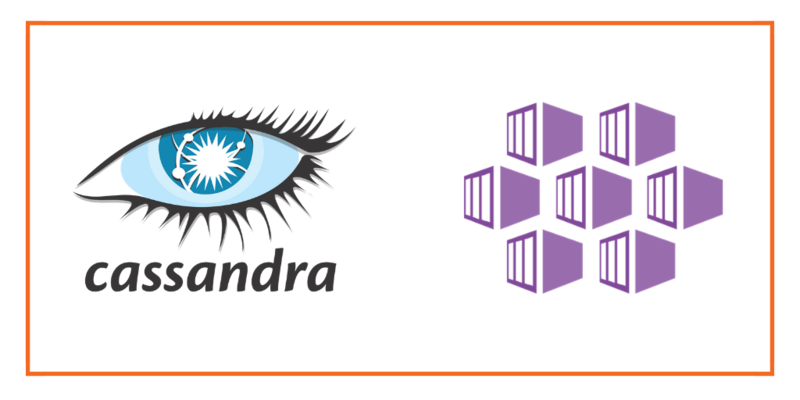 Today’s post will look at how to run a Cassandra statefulset on Azure Kubernetes Service (AKS), a managed Kubernetes offering from Microsoft, which makes it easy to create, configure, and manage a cluster of virtual machines that are preconfigured to run containerized applications. Once the AKS cluster is up and running, and Portworx is installed and configured, we will deploy a highly available Cassandra database. 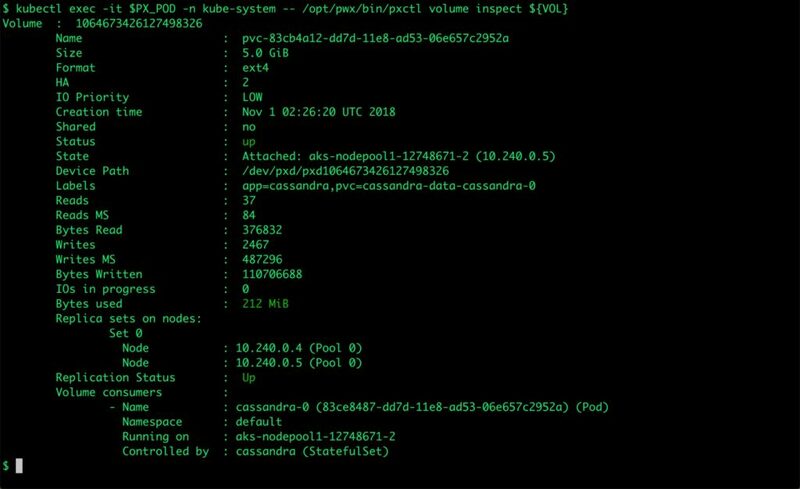 We can now inspect the Portworx volume associated with one of the Cassandra pods by accessing the pxctl tool. Observe that the data is still there and all the content is intact! We can also run the nodetool again to see that he new node is indeed a part of the statefulset. Portworx enables storage admins to perform backup and restore operations through the snapshots. 3DSnap is a feature to capture consistent snapshots from multiple nodes of a database cluster. This is highly recommended when running a multi-node Cassandra cluster as a Kubernetes statefulset. 3DSnap will create the snapshot from each of the nodes in the cluster, which ensures that the state is accurately captured from the distributed cluster. Portworx can easily be deployed on Azure AKS to run stateful workloads like Cassandra in production. It integrates well with K8s statefulsets by providing dynamic provisioning. Additional operations such as expanding the volumes with no downtime, and performing backups stored as snapshots on object storage can be performed while managing production workloads.